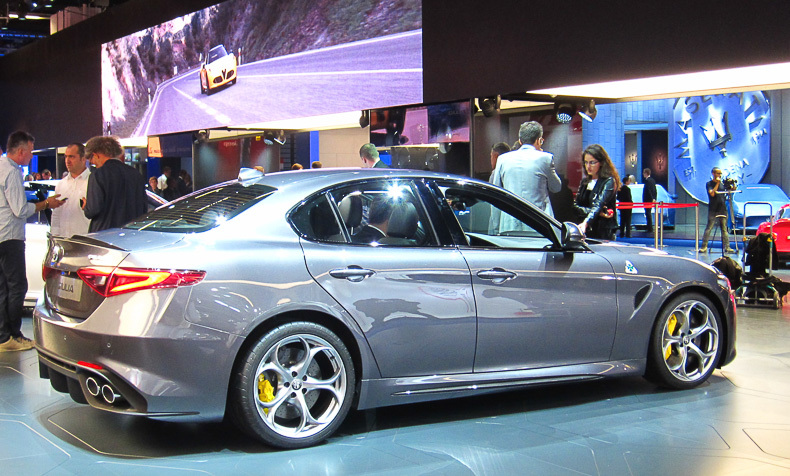 Alfa Romeo has finally launched the long-awaited successor to the 159. The brand that has languished and seen plummeting sales over the last fifteen years aims to revive the glory of its heydays with the all-new Giulia. As of now, Alfa Romeo launched the Giulia Quadrifoglio only, the top-of-the-range version capable of some mind-blowing numbers: it features the 510 hp six-cylinder 2.9 turbo petrol engine developed by Ferrari engineers with a top speed of 307 km/h and capable of an acceleration from 0 to 100 km/h in just 3.9 seconds, a peak torque of 600 Nm, while it should brake from 100 km/h back to 0 in less than 32 metres. Alfa Romeo claims best in class emission levels, with 198 g/km of CO2, while its dry weight is just 1,524 kg. 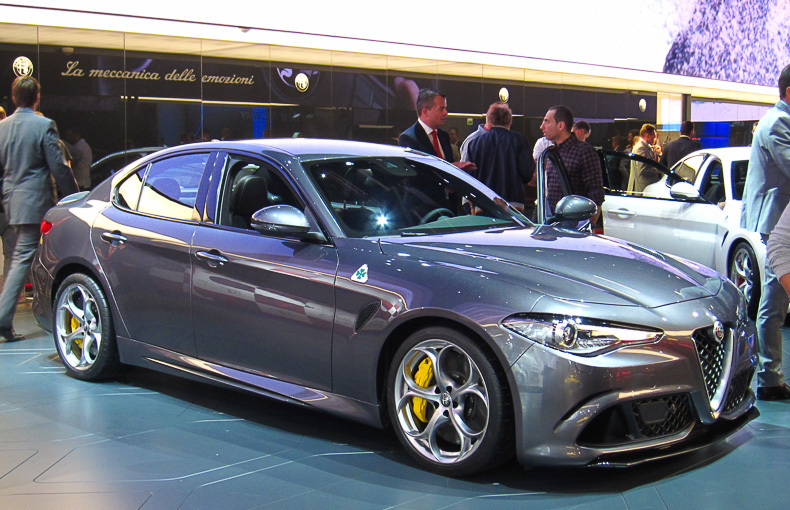 Sales of the Giulia Quadrifoglio will start during the last quarter of 2015, with prices starting at about 79,000 Euro in Italy. Automotive mergers: necessary, welcome or a threat? Let’s talk about automotive mergers again, because Sergio Marchionne, CEO of Fiat-Chrysler Automobiles, keeps going on about them being necessary to achieve the economies of scale needed for automakers in the current, highly competitive marketplace, and in order to spread the cost of investments in fuel efficiency, connectivity, autonomous driving and electrification. Okay, in all honesty, Sergio isn’t the only one saying it’s becoming “too expensive to make cars”, but he is the most outspoken one on the subject and he keeps flirting with other automakers to merge, most notably General Motors, so he’s an easy target for my rants. Fiat Chrysler Automobiles CEO Sergio Marchionne has again claimed that the automotive industry needs more consolidation, and that within a few years time, automakers that sell less than 6 million cars a year worldwide won’t be able to stay competitive. Toyota, Volkswagen and General Motors currently sell at around 10 million units a year, Renault-Nissan 8,5 million and Hyundai-Kia 8 million, which means at 4,75 million sales in 2014, FCA is trailing both its main competitors and its own “bar for succes”. Before 2020, Marchionne envisions himself making another “huge deal” with another automaker in order to reach sufficient economies of scale. He has also hinted that he would like to get either General Motors or PSA Peugeot-Citroën at his table to negotiate the possibilities of a merger. But I think he’s looking in the wrong direction. The midsized crossover segment is still enjoying a healthy growth pace, increasing sales 11% in the first three quarters of 2014, as 14 models in the top-20 have sold more units than they did in the same period last year. The small MPV segment in Europe is still up 6% after the first nine months of 2014, but continued competition from small crossovers has caused the growth to stall, while the top-3 are the only models to increase sales year-over-year. The Fiat 500L continues to control the segment which it has lead for five straight quarters, but the Nissan Note is storming up the charts, coming from 7th place last year with the previous generation to second place this year, thanks to the new model. The Note even outsold the 500L in September thanks to strong volume in the UK, its home market. After nine months, the European compact car segment is still up 10%, outperforming the market and, with over 1,7 million units sold, still the second largest segment of the continent. As expected, the VW Golf continues to lead over its rivals by a large margin, and even increasing its share of the segment to 23%, which means almost one in every four compact cars sold in Europe is a Golf. The Ford Focus had an excellent month of September thanks to the strong UK market, but it was outsold by the Skoda Octavia in both July and August. With Octavia sales up one third and Focus sales stable year-to-date, the Focus desperately needs the upcoming facelift to fend off its Czech rival next year. The Opel/Vauxhall Astra is still waiting for its replacement and is in danger of losing its fourth place to the Peugeot 308 next year, as the latter is coming closer and closer. However, the 308 can’t afford not to look in its mirrors, as the Seat Leon is charging ahead as well, now having passed the ageing Renault Megane for sixth place. The Megane was also outsold by the Toyota Auris in August and September and may lose another spot by the end of the year. That should give some consolation to the best selling Asian compact, which has been kicked down from 6th to 8th this year.